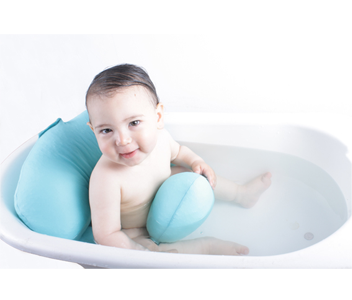 Tubby Baby Bath Seat – Turn your bathtub into a water wonderland! 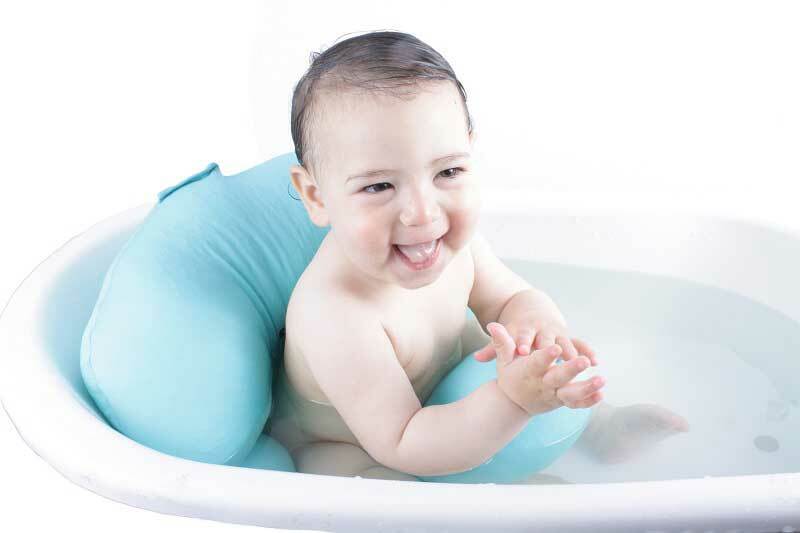 Tubby is a soft, cushioned toddler bath seat for sitting babies, that your baby can ride in the bath tub. A bath, for young children, is supposed to be fun and joy. Babies and young children don’t have anything else to do during bath time, other than just enjoy the warm touch of the water, and a pleasant bonding time with one of the baby’s parents. How Would You Like To Add Even More Fun And Joy To Your Baby’s Bath Experience, And Give Your Toddler A Developmental Boost All At The Same Time? Moving about in the bath is not easy for very young children – it is slippery and they feel clumsy and cumbersome moving in it. Your baby will enjoy the ride and you will enjoy the sense of safety. 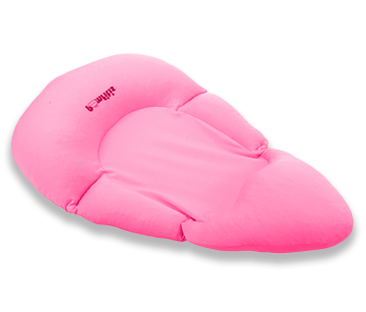 And the front floats up to give your child more support and stability, as well as something to hold, as the little one rides it inside the bathtub. 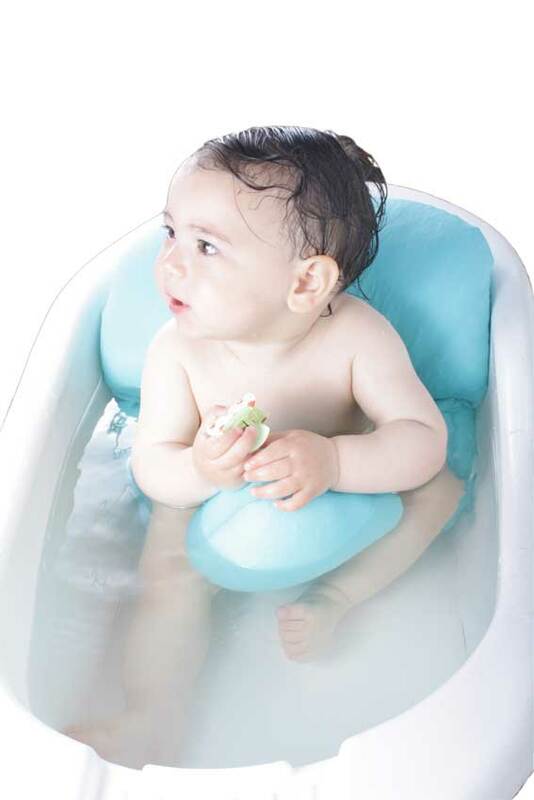 Unlike the regular plastic baby bathtub seat, with Tubby your baby is free to move freely in the bath. As your child gets to move around on his or her own, a new sense of independence is created with the ability to “roam free” inside the tub. This creates a developmental boost for your child, as muscles that got less activity are now working on a daily basis during every bath. Tubby is acting as a soft riding toy babies at that age love so much to play with. Not only that, it is a lot more comfortable than the hard surface of the bathtub. With Tubby you do not have to hold your young child during the bath, even for 1 year old children who just learned to sit on their own. Tubby nestles the child from all directions and you have both your hands free to easily bathe, soap, or just sit next to the bathtub and enjoy your time together. Tubby is designed for babies who sit up on their own (1 year old – 3+ years). Lightweight – only 7 oz. (200 gr). 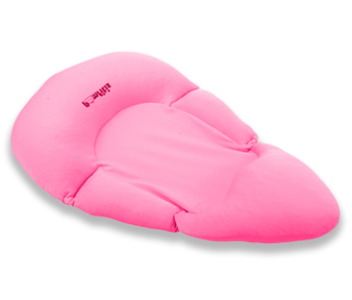 Made of soft and elastic fabric: 80% Polyamide 20% Elastane. After use, wash thoroughly under a stream of running water and hang to dry. The Tubby can be used in both infant and standard bathtubs. And give your baby a water wonderland with every bath.